LinkedIn has become a business need and it’s gaining ground as a marketing must. Now more than ever, B2B brands are seeing the value of advertising on the networking network. To make your branding message deliver promotion and prospects, salesforce.com offered some tips that work wonders. 1. Be Involved and Informed – You need to be active on the network and pro-actively network with leads. While Company pages are useful, you’ll get the best exposure from LinkedIn Groups. These allow you to start your own group by interest or industry and lead discussions that bring leads to you. 2. 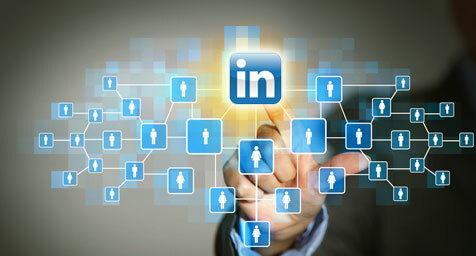 Spread the Word Through Your Words – Keep your promotion in motion by using LinkedIn to repeatedly re-market content. This re-targeting tactic expands your reach, exalts your image, and extends your marketing dollars. Just make sure that your content reflects your company’s branding message and is relevant to your audience. 3. Write for the Right Market – Many B2B businesses find that content contributes to lead generation. Structuring content to advise, amuse, inspire, give, or warn can greatly increase the likelihood of sharing and lead to engagement. 4. Put Workers to Work – Turn your employees into brand advocates by getting them onto LinkedIn and into the act of developing networks for sharing your content. Encourage employees to nurture leads and relationships to expand the span of your branding message. 5. Search for Proper Prospects – Use the Advanced People Search feature to find specific types of LinkedIn members and connect with these targeted prospects. The advanced functionality lets you search by a range of occupational factors like title, interest, and industry. 6. Take the Lead with Your Leads – First of all, leading a LinkedIn group portrays you as a leader who takes pride in helping others. It also enhances your image as a visible and viable colleague. Once this perception brings you more prospects, make sure to swiftly pursue each of your leads, using LinkedIn as your common bond. 7. Promote Your Presence – LinkedIn advertising is especially popular with B2B companies because it allows for targeting by business factors. It’s also an affordable form of advertising that lets you reach prospects seeking partners. Discover how social media is good for branding your business. Contact MDG Advertising today at 561-338-7797 or visit mdgadvertising.com.